Pharmaceutical Education And Research with Regulatory Links. The main research objectives of the PEARRL research programme are to deliver novel bio-enabling formulations and new biopharmaceutics tools to predict their in vivo performance as a means to improve efficiency and cost-competitiveness in drug development, thus facilitating earlier access of patients to “breakthrough therapies”. 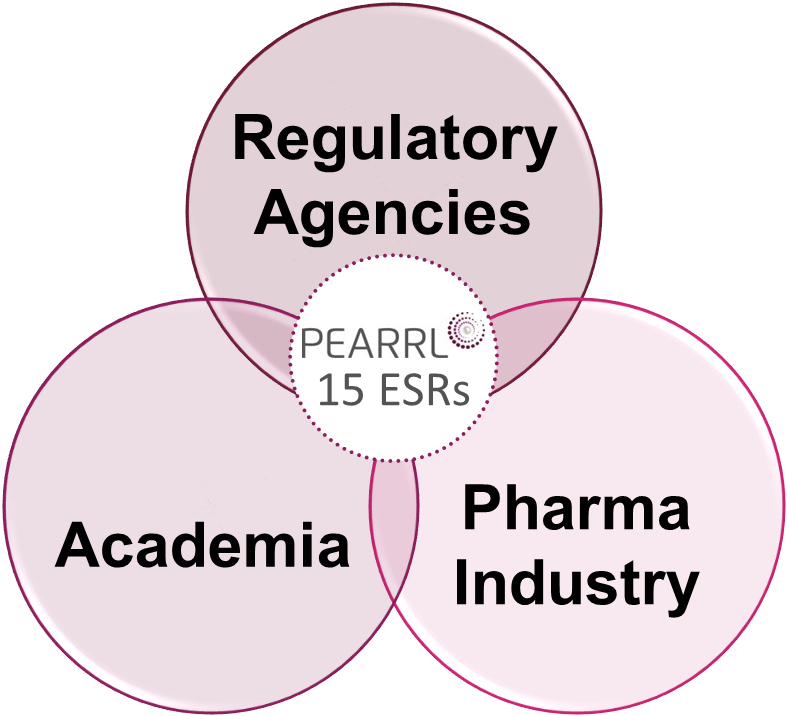 PEARRL will train 15 Early Stage Researchers (ESR) who can develop such new bio-enabling formulations (“better drugs”), biorelevant and in silico methods to predict formulation performance in vivo (“streamlined development”) and serve as communication bridgers between research and regulatory science (“accelerated approval”), thus bringing Pharma and regulatory objectives to fruition. In case you have been wondering what each ESR is researching within the PEARRL project they have each created a short video to introduce themselves and their research. These videos have been created as part of the InfoPEARRLs which aim to provide an educational resource to the general public in line with PEARRL`s open access strategy. The members of the PEARRL consortium have been carefully selected to bring together a multi-disciplinary, multisectorial and multi-national network that offers the best response to the scientific, economic and societal challenges outlined in Section 2. Our network consists of 9 Beneficiaries and 9 Partner Organisations from 8 different countries. The Consortium covers the entire chain of knowledge, i.e. development and training from the laboratory to the end-user and market.